One in five women and one in eight men are becoming more tired and less productive, a new Australian study on mobile phone use revealed on Tuesday. Led by the Queensland University of Technology in Australia, researchers surveyed 709 mobile phone users across the country aged 18 to 83 and asked them a series of questions based on a similar study 13 years ago. Identifying a phenomenon "technoference," researchers discovered a significant increase in people blaming their devices for "losing sleep, becoming less productive, taking more risks while driving and even getting more aches and pains." 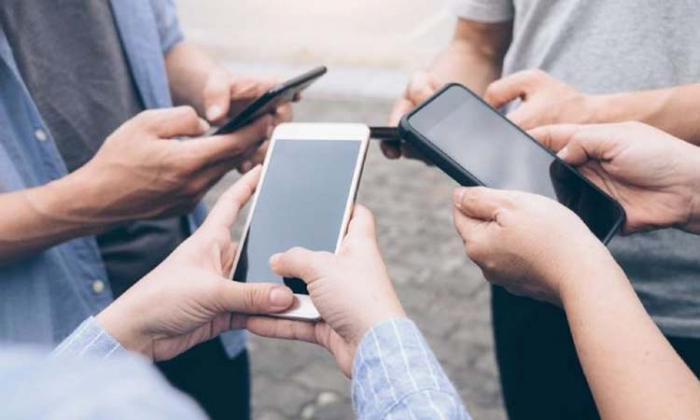 According to study lead Dr Oscar Oviedo-Trespalacios, the issue is so bad that 24 percent of women and 15 percent of men are now considered to be "problematic mobile phone users." "When we talk about technoference we're referring to the everyday intrusions and interruptions that people experience due to mobile phones and their usage," he said. "Our survey found technoference had increased among men and women, across all ages." "For example, self-reports relating to loss of sleep and productivity showed that these negative outcomes had significantly increased during the last 13 years." "This finding suggests that mobile phones are potentially increasingly affecting aspects of daytime functioning due to lack of sleep and increasing dereliction of responsibilities," he added. Compared to a 2005 study, "technoference" issues for 18 to 24-year-olds jumped a staggering 40.9 percent, while those aged 25 to 29 also recorded a dramatic increase of 23.5 percent. Oviedo-Trespalacios said that with the number of smartphone users around the world expected to surpass 2.5 billion before the end of this year, the problem of "technoference" could get even worse. "The speed and depth of smartphone take-up in Australia makes our population particularly vulnerable to some of the negative consequences of high mobile phone use," he said. "Rapid technological innovations over the past few years have led to dramatic changes in today's mobile phone technology, which can improve the quality of life for phone users but also result in some negative outcomes." "These include anxiety and, in some cases, engagement in unsafe behaviours with serious health and safety implications such as mobile phone distracted driving."